Governor Brown announces plan to sign SB 1528 the small business tax. 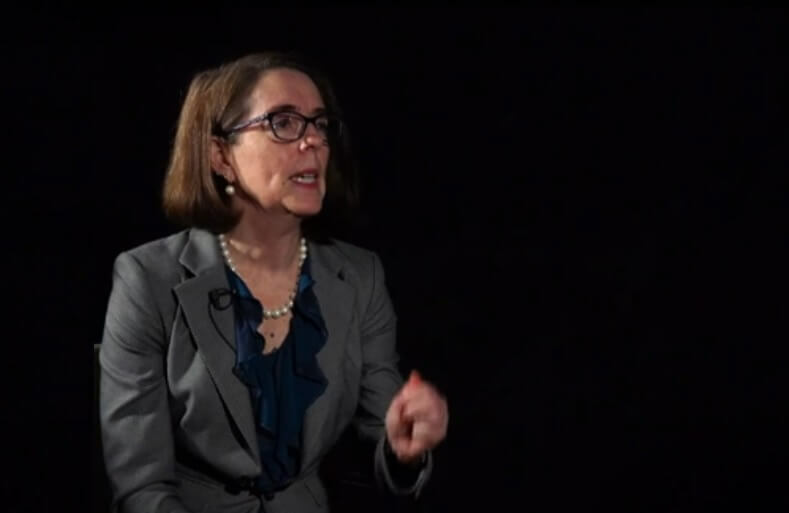 Oregon Governor Kate Brown just announced she plans to sign SB 1528 which raises $1.3 billion on small business over six years. Here is why you should be outraged. 1. The $1.3 billion tax was speedily ramrodded through the super-fast 30 day Legislative Special Session without adequate public hearings or public participation that occurs in regular Legislative Sessions. 2. The $1.3 billion tax violated the historic “taxation without representation” law by unlawfully originating in the Senate. By law, tax bills must originate in the Oregon House of Representatives. 3. The $1.3 billion tax violated the Constitution’s 3/5 rule (60%) vote for all taxes. The politicians blatantly ignored the Constitution by relabeling the tax bill as not-a-tax. If the $1.3 billion tax is magically not a tax, then where does the money come? Why do we have to pay it? 4. The $1.3 billion tax was falsely put on record by lawmakers as “not a tax increase”. Revenue Chair, Phil Barnhart, stated in Committee that the $1.3 billion tax SB 1528 “is not a tax increase”. Fellow Revenue Committee lawmaker, Rep. Pam Marsh, repeated that is was not a tax increase and even said “we are not doing anything to anybody” yet 192,000 Oregon small businesses will, in fact, face higher tax bills. 5. The $1.3 billion tax was delayed by over 30 days by Governor Brown which reduced the time that citizens could launch a referendum repeal petition drive of SB 1528. Her delay is blocking voters chance to legally repeal with a referendum. What can you do about this gross abuse of democracy? SIGN THE “TAX IS A TAX” PETITION to outlaw hidden back-door tax increase like the $1.3 billion tax. The “Tax is a Tax” petition strengthens the Constitution’s 3/5 (60%) vote rule by requiring all taxes (including hidden taxes, hidden fees) to receive a 60% vote to be approved. If the “Tax is a Tax” petition were law today, the $1.3 billion tax would be dead. The tax only received 51% approval in the Senate instead of the 60% approval required by the Constitution. In fact, the bill saw bipartisan opposition in both the Senate and House. Please sign the “tax is tax” petition. 1. Email your name and address to [email protected] and we will immediately mail you a 5-line petition sheet.